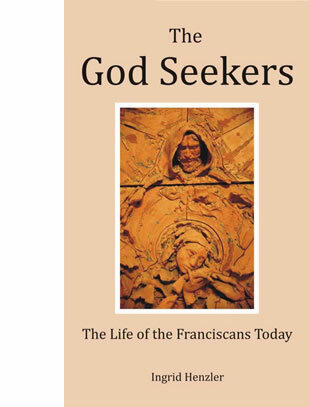 The God Seekers, The Life of the Franciscans Today is now available in paperback form. Twelve Franciscan Brothers and Sisters talk openly in sensitive interviews about their relationship with God, their hopes and dreams, their joys and temptations in everyday life. What have they let go? Why did they follow their calling? The veil lifts up like the curtain on a stage; we are in the middle of the interior life of a Franciscan Order. This book will illuminate whatever path you have chosen! The God Seekers will help you find your own calling in life. "The God Seekers, by Ingrid Henzler, is truly the most fascinating book I’ve read this year. 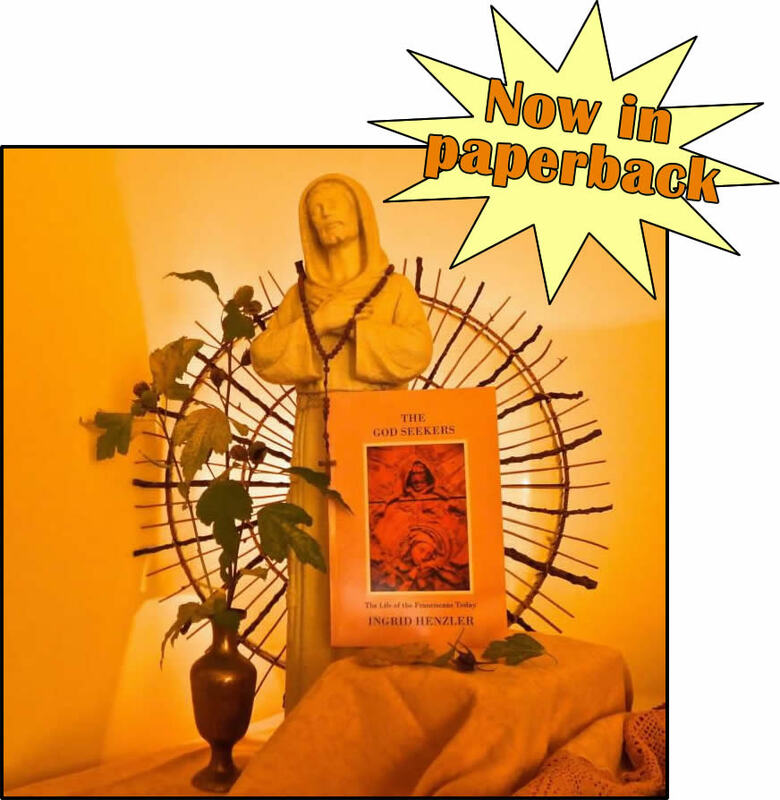 Whether we are religious or not, the interviews that Ingrid has included in this wonderful book give us an amazing view into the lives of the Franciscan brothers and sisters—their challenges, their triumphs, their sorrows, and their joys—as they each walk the path that leads them into the heart of the Beloved. Each of them on their own unique and beautiful journey with God, it is impossible not to fall in love with them all. "... deep in the unknown aspects of ourselves, there is a longing for God in all of us. We may call it our psyche, our spirit, the collective unconscious. The truth is we have an innate longing for belonging, and the mystery beckons to us in countless ways whether we are aware of it or not. Who are the God Seekers? It is an intriguing title and may summon as many different images as there are people ...(in this book) ...the deeply sensitive interviews with ...Franciscian brothers and sisters ... give us an opportunity to listen to our own hearts. "...until now we never had a book like The God Seekers, ....it takes us to the interior life of an Order. ...(the fact is) it is really very hard for a Brother or a Sister to reveal their own intimate thoughts to another person. They do not want to share their deep emotions, wishes, real weaknesses, and interior struggles with other people. With her big heart, Ingrid Henzler has succeeded in climbing over the walls of the convents. ...because of her capacity for listening without judging, she has allowed her subjects to speak in a candid way, maybe even in a way they hadn’t intended... In each (interview)... we discover thoughts that we know, some wishes that are similar to ours; we see their spiritual and deep human aspect. The book by Ingrid Henzler is not only a fascinating journey through the life of a Franciscan..., but also a work inducing us to acknowledge deep inside of us our own call and to reconsider our response in our own life.